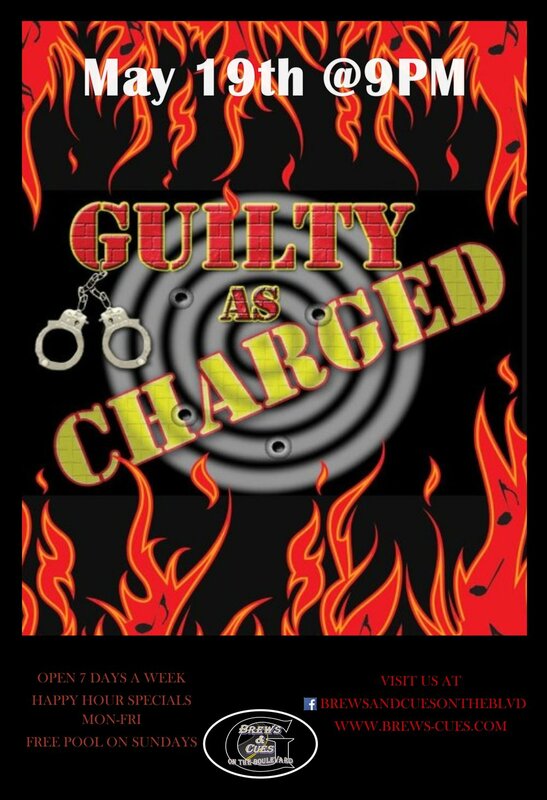 Guilty as Charged returns to Brews & Cues on Friday May 19th for a rocking show. An entertaining professional Rock n' Roll Show with lots of good music. Everyone knows and loves the music they play. A fun crowd that likes to drink, dance and have some fun.